Combine ground beef, cheese, salt, pepper, onion and garlic until well combined. Fill each pepper half with mixture, about 2 TBS. 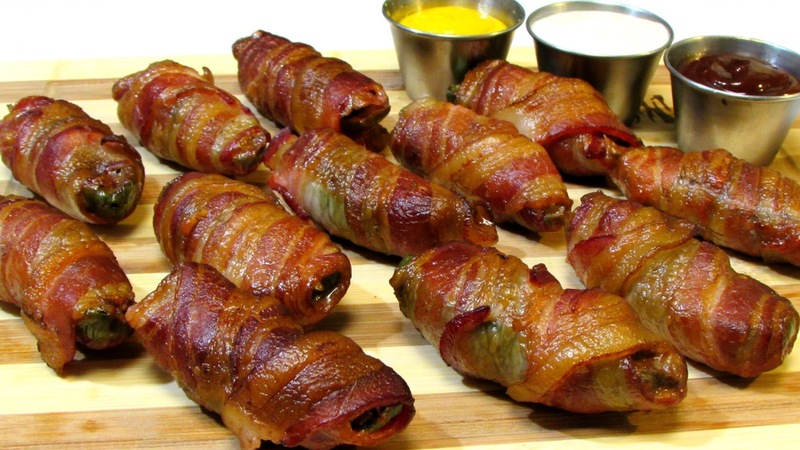 Wrap each pepper half with 1 whole piece of bacon. Place over indirect heat in a preheated 250º *grill and smoker with apple wood for 1.5-2 hours until the bacon is rendered and crisp.